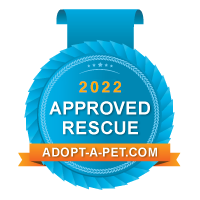 Lapeer’s Adoptable Animals (LAA) is strictly a volunteer based organization that was founded in 2012 with the mission and goal of lowering the euthanasia rate in Lapeer County. LAA does not receive any form of government funding and solely relies on donations from supporters. LAA has added several community outreach programs over the past few years and still strives to work with our local community residents to help assist with the homeless and displaced pets in Lapeer County. Lapeer’s Adoptable Animals could not survive without the outpour of support from our supporters and the help from many wonderful volunteers! Sign-up here to receive our newsletter directly to your email! Our mission is to work towards lowering euthanasia rates and act for the community as an advocate on behalf of the animals. We are devoted to provide financial, medical, social, and behavioral assistance and to raise community awareness to educate the public on responsible ownership by spaying and neutering and enhancing the lives of adoptable animals through adoption.